St. Martin Parish Cemetery was established in 1850. Plots are still available in a serene setting on our parish grounds. Please contact Joan Weigel in our parish office for information on lot locations, prices, and cemetery regulations 330-483-3808. 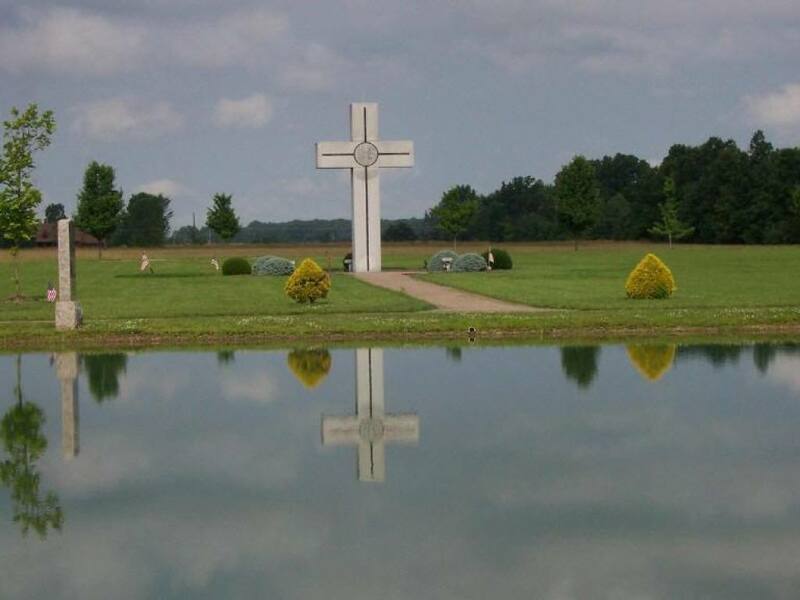 The cemetery is located behind the Saint Martin of Tours Catholic Church on the west side of Station Road (County Road 23) about 0.1 miles north of its intersection with W Law Road. It is in Liverpool Township, Medina County, Ohio, and is #7502 in “Ohio Cemeteries 1803-2003”, compiled by the Ohio Genealogical Society. The cemetery is registered with the Ohio Division of Real Estate and Professional Licensing (ODRE) as St. Martin of Tours Cemetery with registration license number CBR 0000982057.